When it comes to embracing social media marketing to promote tile, you need to pay attention to Crossville Tile. The company knows how to use digital marketing to get the word out about the beautiful tile products it manufactures. 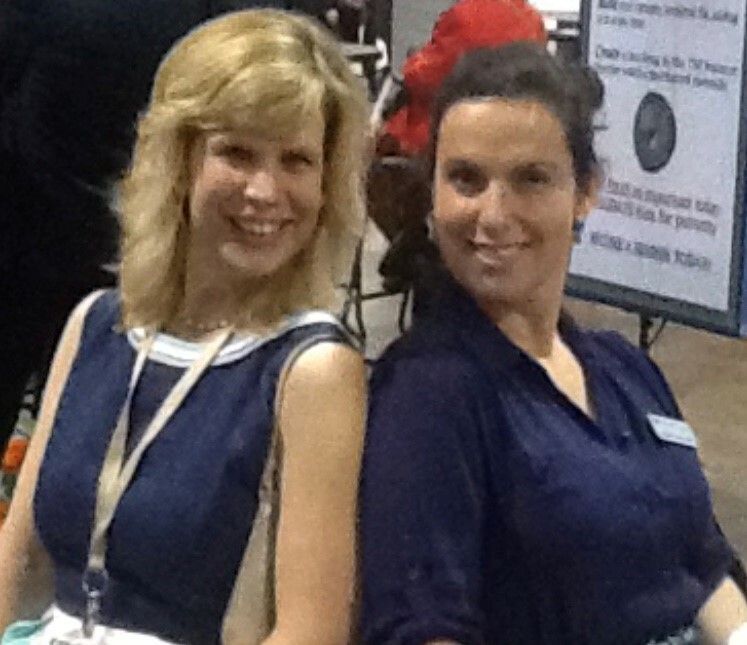 Behind this expertise are two women: Lindsey Waldrep, vice president of marketing for Crossville Tile, and Irene Williams, owner of digital marketing and PR firm, Msg2Mkt. If you've spend any time exploring the tile industry on social networks, you've most probably come across Irene Williams. She is the owner/principal of Msg2Mkt, a brilliant writer with a wicked sense of humor, not to mention the genius behind @TileTuesday on Instagram. Arpi Nalbandian has an eye for visual content, especially when it comes to capturing the beauty of the tile industry on visual social networks such as Instagram. During Coverings17, she and fellow visual tile maven Irene Williams will share wisdom about marketing with Instagram. In anticipation of those sessions, I caught up with Arpi to learn more. Wondering About Instagram for the Tile Industry? This is a 14 minute read. If you are wondering about how to use Instagram for the tile industry, you've come to the right place. Arpi Nalbandian, founder of Tileometry, is extremely knowledgeable about tile and social networking for business. She combines the two in her own business. How Trend Forecasting Forces Customer Focus. Scarlet Opus Explains. Trend forecasting by its very nature forces customer focus. When done expertly, it identifies customer needs and preferences before they become aware themselves, enabling companies to connect in a way that generates Apple-like loyalty and passion. That in turn drives growth. Scarlet Opus is one such expert trend forecaster and one I first encountered online in 2009 and met in person in 2010 at the International Surface Event (TISE) show. 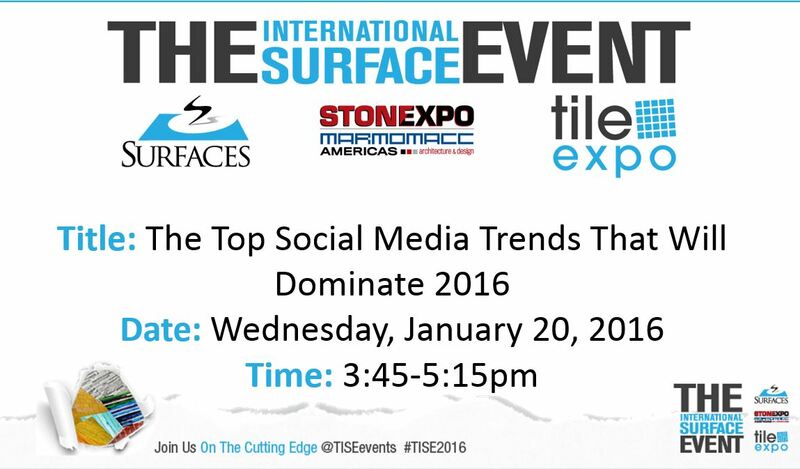 In addition to How Website Analytics Helps Your Business, I will be reviewing the top social media trends of 2016 and their effect on business during The International Surface Event in Las Vegas. My session is titled "The Top Social Media Trends That Will Dominate 2016" and takes place on January 20th from 3:45 to 5:15pm. This is a 11 minute read. Meet Arpi Nalbandian, founder of Tileometry and the first person in the flooring and tile industry I met first through Twitter. 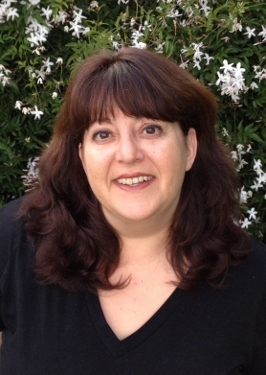 Arpi is extremely knowledgeable about tile and social networking for business and combines the two in her business. In anticipation of our joint session, I caught up with Arpi to ask her about her love of tile and social networks, and how both come together visually. 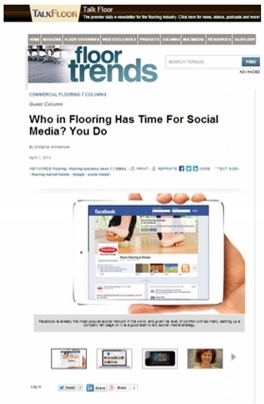 Who in Flooring Has Time for Social Media? Do you make time for social media? Many business people wonder how to find the time - particularly in flooring. 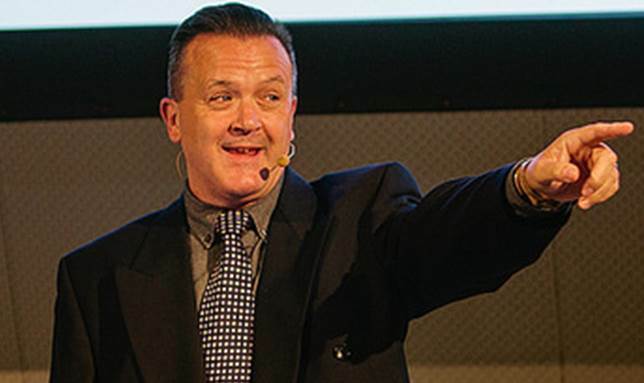 They bring it up repeatedly during presentations and in conversations about digital marketing, getting found online and embracing new marketing habits. 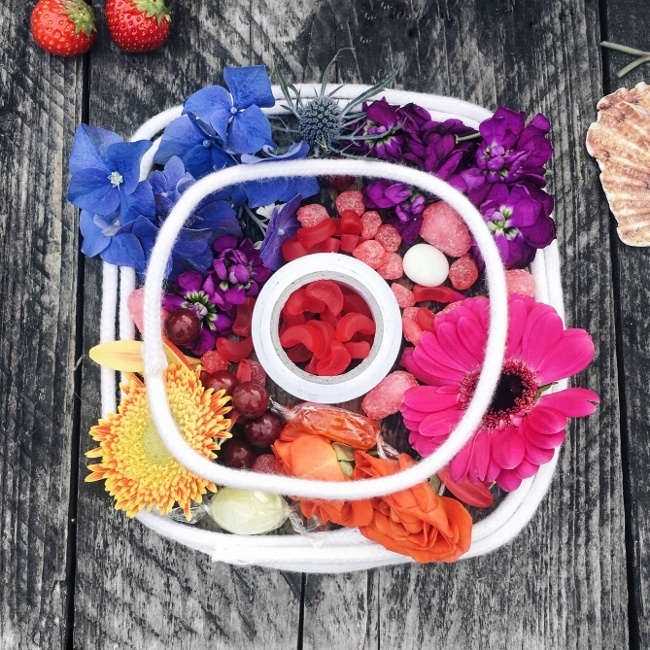 What goes into driving an industry with social media? 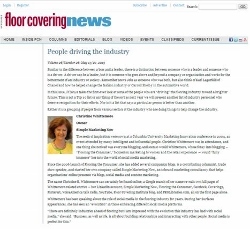 In May 2013, I spoke with Ken Ryan from Floor Covering News who asked me questions for an upcoming issue about People driving the (flooring) industry. 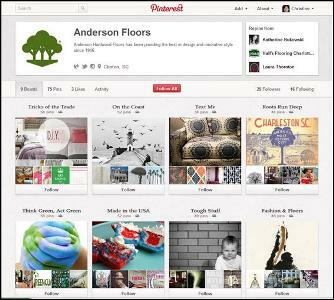 Marketing With Pinterest: Flooring Eye Candy! I really enjoy Pinterest. It's a joyous visual adventure that many flooring companies have embraced as they explore marketing with Pinterest. The visual flooring eye candy these brands have created inspires and delights. It also redefines traditional perceptions associated with flooring.